The idea of the competition is for young creative talents to examine, interpret and creatively visualise Jørn Utzon’s working drawings for some of his unbuilt works. Each entrant should interpret a selected Utzon project by merging Utzon’s own vision for the project with something they see in the project. The selected project chosen for the competition in 2019 is Utzon’s theatre in Zurich (1964). The submission format is digital. 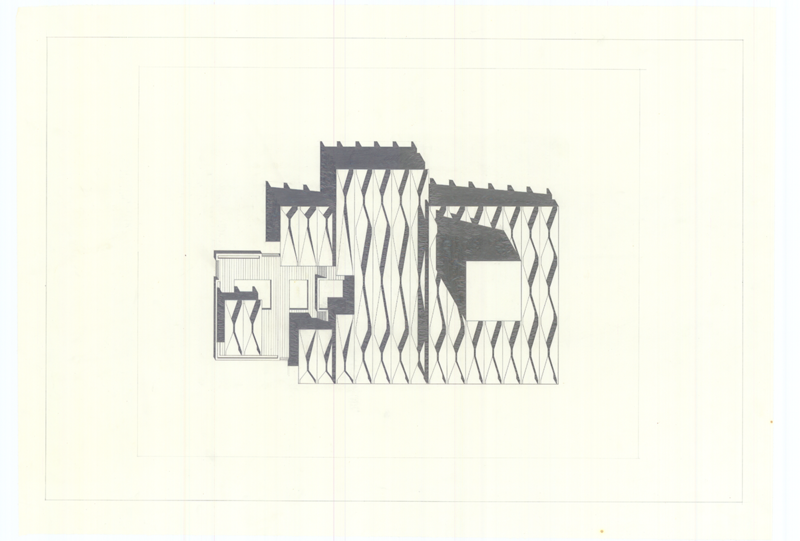 It should mix Utzon’s soft pencil lines with new digital media and make the project comprehensible to a wide audience. An international jury will select the winners. The winning projects will then be published and subsequently used in various exhibitions, dissemination and educational contexts. The annual competition begins in 2019 and runs for three years. Each time, the competition will be based on a new Utzon project. 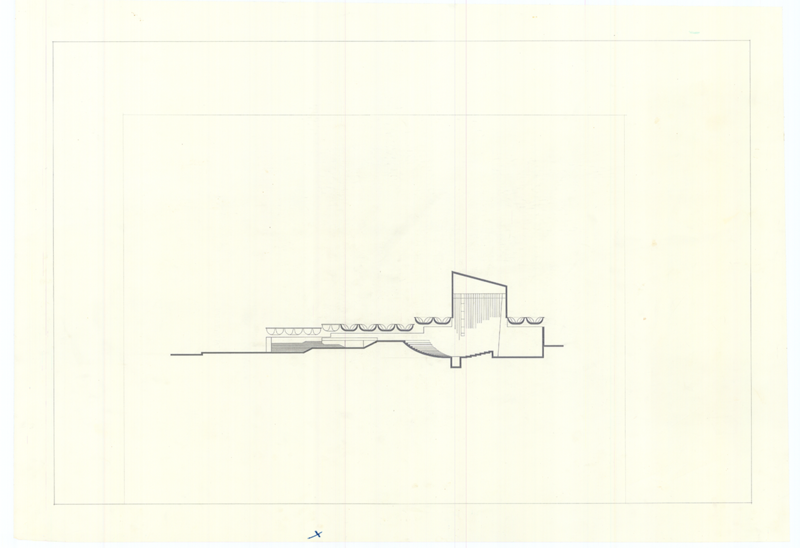 The first project chosen for the competition is Utzon’s theatre in Zurich (1964). Utzon worked on the theatre for several years, but the design was abandoned when a decision was made to renovate the excisting building. 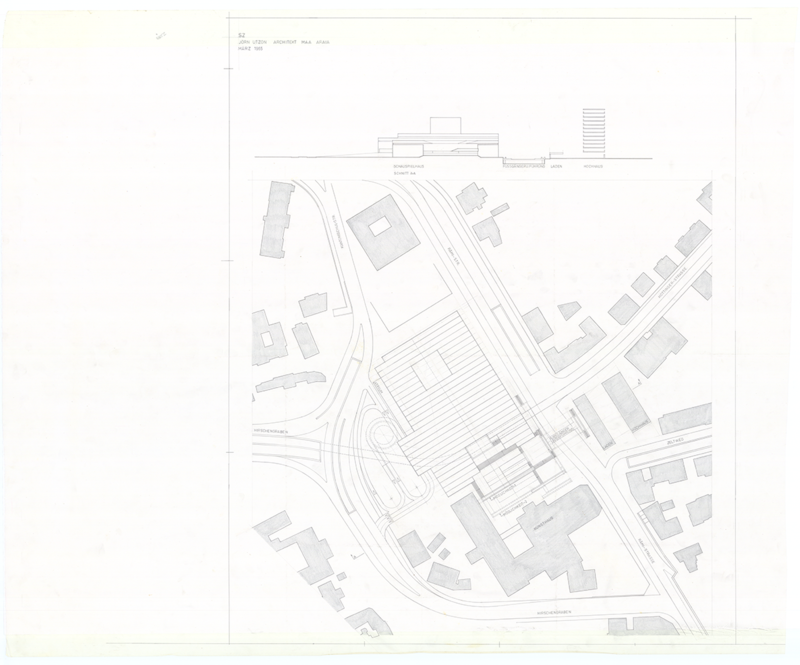 Utzon’s proposal for a very deficult site in the centre of Zürich is considered to be amongst the most interesting of Utzon’s unbuilt projects. 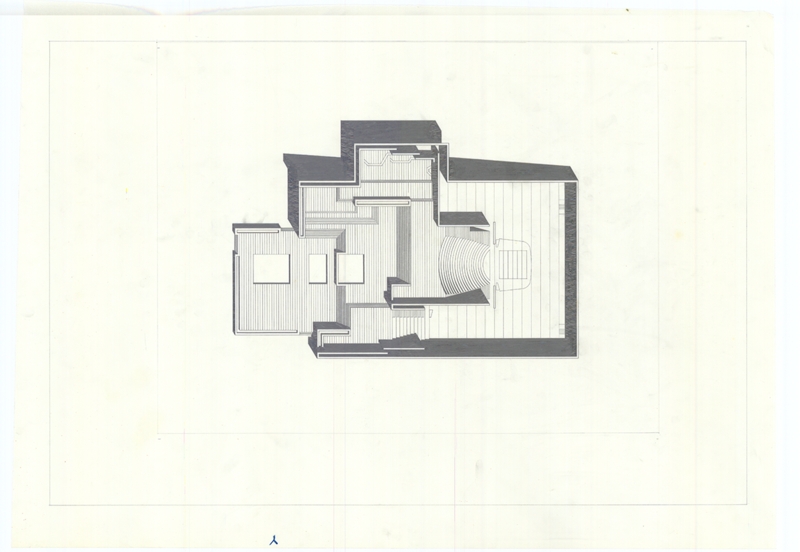 His drawings in plan, section and elevation have been scrutinized by Utzon afficionados for decades, but the project remains largely unknown, and the drawings deficult to interpret. Visit The Utzon Archives(online) here to see all of Utzon's original drawings for the theatre in Zürich.